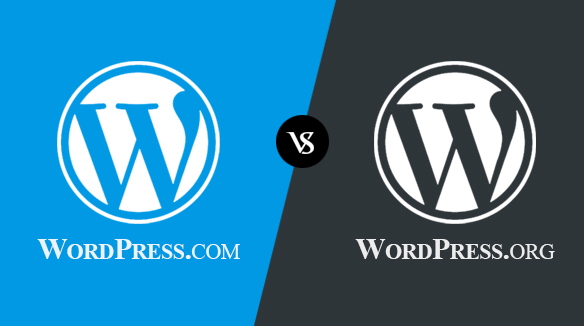 Self Hosted WordPress.org vs Free WordPress.com: which is better? Self Hosted WordPress.org vs Free WordPress.com. If you are planning to come up with a WordPress-based blog then the first question (most confusing one) will come up- whether to begin with a free blogging platform or the hosted one. Most of the bloggers are generally beginners, so they don't have much in-depth knowledge about the difference between a free WP blog & a self-hosted WP blog. In this post, you will read about the pros and cons of both these services. You can have a free WordPress blog, if you opt for the WordPress.com, all you need to do is to choose the right username, which later on, becomes the blog name. So make sure you keep the username similar to your blog's name. For instance: if the username is jennys fashion, then it will automatically become the blog name. On the other hand, in WordPress.org which is the self-hosted blogging platform, you can choose a separate name for both domain and website. Furthermore, you also have to download the WordPress software which will become your blogging platform in future and you can manage your blog's functioning via that system. In case, you don't have sound knowledge of setting up the hosted or non-hosted blogs and websites, then it will be good if you take help of a skilled web hosting service provider or a WordPress development company who will surely help you get through this whole process in a stress-free manner. Now that you have a good insight about both these services, it's time to read about their pros and cons. As its name goes, there are no usage fees or setup costs involved in this platform. Furthermore, the installation and setup process is also quite easy, as most of the things come pre-installed in its database. Another thing which is free are the maintenance services, as most of the tweaking is done by the official WordPress developers. You can rely on the WordPress.com servers for hosting. Your blog will become a part of WordPress's user and development community, leading to rising in incoming web traffic. You have to stick to the themes provided in the WordPress Directory. As the third-party integration in WordPress.com is prohibited. Apart from that, you won't be able to alter the existing PHP code. This will automatically stop you from making any addition of useful functionalities, features, and customization. Just like themes, the usage of third-party plugins is also not allowed in WordPress.com. 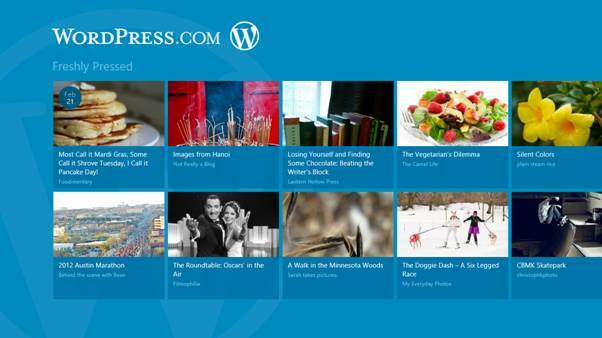 Although, the WP Directory is full of superb plugins but you can install a custom-made extension. Moreover, your blog won't be eligible for any sort of advertisement placement, means you cannot run the desired adverts. Instead, WordPress will be running their own ads on your blog. The best thing about WordPress.org is that it allows bloggers and site owners to use any WP or non-WP (third-party) theme for their platform. There are thousands of third-party themes available on the World Wide Web. In WordPress.org, you can make desired changes in the PHP codes working in the backend of the blog. You can visit WordPress community page, where you will find a wide range of great scripts through which you can add unique functionalities in your site. Just like themes, you can also add/remove any plugin. The good thing is you can also install a tailor made plugin as well. With the self-hosted blog in place, you can also carry out changes in core codes, themes, and plugins. Apart from that, you can also run your desired advertising campaigns and manage the monetization process without any hassle. The best part is, you can create a unique brand name in the industry. Either you can set up the self-hosted blog by yourself or else you have to rely on the web hosting companies but they do charge a significant amount of money for this process. To get your hands on a customized domain name you have to pay a nominal fee ranging from $5 to $20. You also have to take care of all the security aspects of your own. And it becomes a bit tough for someone who doesn't have prior knowledge of this process. To keep your blog live on the World Wide Web, you need to host your blog using the third-party servers which will again cost you a lot. As mentioned earlier, a self-hosted blog will allow you to enjoy a greater freedom in monetization activities. With Google AdSense, you can run any advertising campaign which is paying the better amount to you. In the end, it ultimately depends on your requirements and budget, on the basis of which you would be shortlisting the suitable WordPress service. It will be good if you do a bit of research before initiating the blog development process. Anna jhonson is a web developer by its profession and working for markupcloud. The company provides psd to html, psd to wordpress conversion services.